Reese Witherspoon was arrested for disorderly conduct after allegedly resisting the orders of a police officer in Atlanta, Georgia, on Friday night. 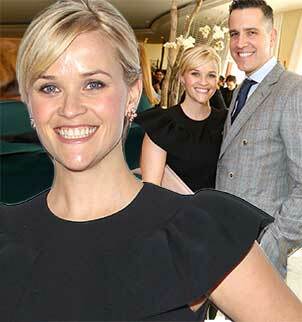 Reese Witherspoon, 37, was jailed along with husband CAA agent James Toth after he failed to pass a sobriety test. The city’s Department of Corrections confirmed that Reese Witherspoon and James Toth were arrested after Toth was stopped by a patrol car under suspicion of driving under the influence of alcohol. According to a police report obtained by Variety, Reese Witherspoon was handcuffed and briefly jailed for refusing to obey orders given to her by an officer of the law. James Toth, 42, was also put under arrest for a blood alcohol level reported to be .139, well above the legal limit of 0.08. Reese Witherspoon and James Toth were released on bail at 3:30 in the morning on Friday. Their initial legal hearing is set for Monday morning in the Atlanta Municipal court. According to Variety, Reese Witherspoon and James Toth are not expected to report to the judge at their court ordered appearance and are anticipated to, through their attorney, request a postponement. Reese Witherspoon and James Toth are currently residing in Atlanta to shoot Reese’s new movie The Good Lie. James Toth was apprehended after midnight on Friday for recklessly weaving across Peachtree Street, in the city of Atlanta. The police report alleges that he smelled of alcohol and appeared “disheveled”. After pulling the DUI suspect over, the sobriety test was conducted in a Walgreens parking lot. Reese Witherspoon is said to have been warned to remain inside her vehicle, while her husband was subjected to the DUI test. The officer on the scene claims that Reese Witherspoon became clearly agitated and eventually disobeyed his verbal commands. But once James Toth was handcuffed, the mother-of-three disembarked from her seat, telling the officer that she was a “US citizen” and that she had the right to “stand on American ground”. The report then described how Reese Witherspoon resisted him as he grabbed her arms to arrest her. James Toth is said to have made a verbal attempt to calm his hysterical wife. James Toth is said to be facing charges for DUI and failure to stay within his lane while on the road. While Reese Witherspoon’s alleged violation is “disorderly conduct (obstruction)”, which falls under municipal ordinance.